A luxury hotel is a better choice for a true luxury traveler than Airbnb or the myriad of apartment rental services. While budget travelers are often well served by rentals, which are usually cheaper than mid-range hotels, there are a number of advantages that luxury hotels offer compared to rentals. If you’re a luxury traveler, attention to detail counts — the kind of detail that is often missing with even higher end properties on Airbnb and apartment rentals. For example, a personalized welcome amenity for you, and perhaps a cute plush animal or special pastry treat for your child; Champagne if you’re celebrating a honeymoon or anniversary or a cake for your birthday; plush bathrobes and slippers; reservations at hard to get restaurants via the Concierge; twice daily housekeeping; an in-room Nespresso machine for your first coffee of the day; the list goes on. While Airbnb and apartment rentals are more akin to a change of scenery, a top luxury hotel is a true vacation from the everyday, with thought put into the entire experience and hotel staff sweating the details so that you don’t have to. A luxury traveler who cares about the overall experience will find better value for money and less risk of unpleasant surprises with a top luxury hotel than with Airbnb. Finally, it’s worth mentioning that for U.S. readers, there are some luxury hotels that you can actually stay a night or two for free at, simply by virtue of applying for a credit card. For example, my husband and I each were approved for the Hyatt Visa, which comes with 2 free nights at any Hyatt worldwide as a signup bonus. We used our 4 free nights at the Park Hyatt Maldives, where villas are often $1000 per night or more. There’s a reason why the top luxury resorts and hotels are very rigorous with their hiring and training, particularly for associates who interact with guests: Service is a key differentiator for luxury brands, such as Aman Resorts, The Peninsula, Four Seasons, and Mandarin Oriental, over other hotel chains. The best staff actually anticipate needs, not just respond to them. For example, at Hotel Le Bristol in Paris, the Maitre D’ noticed our son becoming a little restless while we were at lunch, and invited him on a special tour of the kitchen, which of course he was thrilled to do, and enabled my husband and I to enjoy a romantic lunch together. At the Four Seasons Hotel George V, a guest who had left a broken set of eyeglasses came back to find that the housekeeping staff had had them repaired. And at Amanjiwo near Borobudur in Indonesia, after returning from a challenging hike, one of the associates, noticing my muddy sneakers, proactively offered to take my shoes and clean them, without my even asking. A basic need that all hotels and places to stay must deliver on is a great night’s sleep, yet you’d be surprised how many rental apartments and cheaper hotels fail in this regard, whether due to a rock hard mattress, an old saggy mattress, lack of sufficient air conditioning in hot climates, or light streaming in too early in the morning when you want to sleep in. By contrast, a luxury hotel generally offers a wonderfully comfortable bed that is supportive yet plush (or can be made plush by calling housekeeping for a mattress topper), proper temperature control that works, and—very important—blackout shades that make the room nice and dark, even for naps in the middle of the day. The top luxury hotels either offer a preferred partner program or are a member of a luxury consortium such that you can enjoy special perks, such as upgrade on arrival, complimentary breakfast, a hotel credit, and other amenities depending on how you make your booking (insider tip: don’t go through an online site such as Expedia or Orbitz if you want to be treated well). 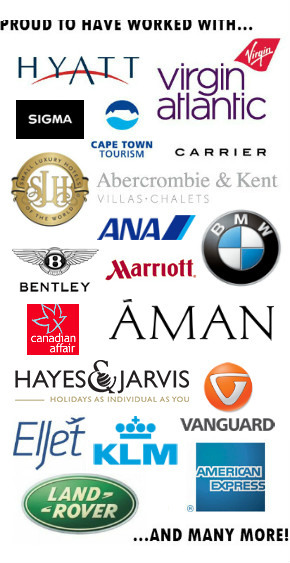 Certain brands, such as Park Hyatt, Ritz-Carlton, St. Regis, etc. also enable you to earn loyalty points via Hyatt, Marriott and SPG respectively, which you can redeem for future stays or upgrades, or even, in the case of SPG, transfer to various airline frequent flyer programs to book flights. Airbnb and apartment rentals of course, don’t offer these types of VIP perks or loyalty points. Sometimes mistakes occur or there’s a problem with your room, suite or rental. If you’re in a rental, you’re pretty much out of luck, which could end up really ruining your vacation. If you’re at a luxury hotel and there’s an issue, the hotel will work to find you another room or suite that you can move to (and sometimes even upgrade you in the process): problem solved. If you have a change of plans, you can freely cancel a refundable reservation at a luxury hotel, often up to the day before (check the hotel’s cancellation policy) and not pay anything. Not so with Airbnb, where many hosts have strict cancellation policies that mean you’ll be out the entire amount if you cancel at any time after making the booking. Even if you reserve with a host who has a more flexible cancellation policy, you won’t get back the fee that Airbnb collects — your Airbnb fee is non-refundable, even if your plans change. Many apartment rentals entail a security deposit, which you could end up forfeiting even for relatively minor wear and tear. While you should obviously take care of any place you stay as if it was your own, you’re less likely to be on the hook with a hotel for normal wear and tear. If you’re a normal guest and not partying in the hotel room, you’ll almost never pay anything beyond the room rate. At a luxury hotel (or even a regular hotel, for that matter) someone is always at the front desk or can be easily summoned with a bell. In contrast, if you’re renting from Airbnb or other apartment rental agency, there is a risk of not being able to meet up with the host and access your room when you arrive. Don’t believe me? I rented from one of the Airbnb co-founders a few years back, and not only was he not there at the appointed time, he didn’t answer his phone for over 10 minutes. While he did apologize, it made me late to a meeting I had planned in San Francisco. This would never have happened at a luxury hotel. Lesson learned. While some high end rentals have beautiful pools and landscaping, similar to top luxury hotels and resorts, what sets many top luxury resorts apart are unique cultural activities and performances. For example, local slack key guitar music, often accompanied by hula, at Four Seasons Maui at Wailea and Four Seasons Hualalai, or gamelan music and Javanese dancing at Amanjiwo, near Borobudur. One of my son’s favorites was feeding a spotted eagle ray at Four Seasons Hualalai, with help from the resident marine biologist. One of the great benefits for families of staying at a luxury resort, rather than a vacation rental, is the chance for kids to make new friends at the complimentary kids’ club. While we do many activities with our son, he also wants to play with other kids, so he always brightens at the prospect of a kids’ club to go to, where he gets to make forts with other kids, play sports, do local arts and crafts, and go on scavenger hunts. He usually doesn’t want to leave, and in the meantime, we get a little couples only time. Everyone gets to have a real vacation. Hilary Stockton is the CEO at TravelSort. I’m not sure I fully agree with all of this article, Hilary, but I speak as an owner of a luxury holiday apartment, so have my own take on it all. Airbnb aside, I’d say there are pros and cons when it comes to staying in a luxury hotel versus staying in a rental property. Thanks Paul and Emma for your comments. I did read Irina’s article, but didn’t find her points compelling, at least in terms of my and my clients’ luxury travel experiences. The types of hotels and resorts I book for my clients offer ample space and privacy, whether as a suite or stand alone villa, sometimes with their own private infinity pool, but with all the advantages that a luxury resort can offer that I mentioned in the post, from top-notch service and amenities (spa, Michelin star dining, pools, golf, complimentary kids’ club, etc.). And the best luxury hotels bring culture to you in addition to providing insider access to unique local experiences, so if anything you get a more authentic experience more easily than you would if renting an apt. That’s interesting as, whilst I enjoy both luxury hotels and luxury rental properties (let’s face it, Airbnb doesn’t really have a luxury focus), I didn’t find some of your points compelling, in particular points 1, 2, 3, 6 and 7. 1. Better value in a luxury hotel. I strongly disagree with this one. Our own luxury rental property is the best in the area (and highest rated on Tripadvisor) and yet costs less than £1,000 for the week in peak season. It sleeps 4 people in comfort and for that money they get 2 bedrooms, 2 bathrooms, a kitchen, a lounge, a dining area and a tranquil riverside balcony with a lovely view. I’d like to see any true luxury hotel come close to competing with that. 2. Better service. Maybe in some hotels, but we are on hand for our guests 24/7 despite it being self-catering. We bend over backwards to make sure guests are happy with a very personalised service. 3. It’s not really fair to compare luxury hotels with all apartments – the comparison should surely be with high end, luxury apartments and my experiences have been much the same between luxury hotels and luxury apartments with respect to a good night’s sleep. 6. Sure, hotels – particularly large hotels – have the ability to accommodate cancellations more readily but many will still charge in the event of a cancellation. It is afterall a contract you enter into when you book a hotel or an apartment. Why should they be punished with a loss of revenue if you choose to change your plans at short notice? If a change in your plans is unavoidable, then this is what travel insurance is there for, IMHO. I’m aware, though, that attitudes towards cancellations are very different in the US, so perhaps that’s a cultural thing. Fully refundable hotel reservations are not commonplace – not here in the UK at least. As for Airbnb, I can’t speak for their policy but would in any case urge the booker to book direct (do some searching to find the original website if you can), as Airbnb take a cut from all bookings and many owners will add this their tariff so they are not short-changed. 7. We don’t charge a security deposit, nor do we charge for minor wear and tear. Wow, this has started a lively debate! Everyone is adding great points on all sides. For me, an important aspect of choosing whether to stay at a luxury resort or privately rented property is whether I want complete privacy or want to be catered to & served. The privacy of staying in a rental apartment or home is something you can’t quite re-create at a hotel / resort where they are inevitably other guests and staff around all the time. On the other hand, as you point out, Hilary, being served and catered to can be really fabulous when you’re in the mood for that sort of experience. As for AirBnB and private rental properties, guests are certainly taking somewhat of a chance on what they’ll end up with, as opposed to luxury hotels/resorts where you can be assured of certain standards. But I do agree with Paul that you can’t lump all rental properties & AirBnB in the same category. Sounds like Paul’s property offers the same standard of service & attention to details as the high end resorts. I recently stayed with friends who rent out a room on AirBnB and I can attest that all their guests get superb service, super friendly & attentive hosts, and warm real-home atmosphere. So all of the options can be awesome, depending on your preferences for privacy, service and/or homey environment. I like this article but I don’t find fair and relevant the comparison with Airbnb. They serve a completely different kind of consumer target. I recently experienced high-end service from Airbnb hosts. First and foremost it all depends on what you are looking for and what the purpose/expectations of your stay is. I really do not understand where you are going with this blogpost. You are saying that a hotelroom for which you pay over a $1000,– a night offers more than a B&B that charges maybe $ 100,–/ night? I am underwhelmed. I am glad you were satisfied with the service you received at the luxury hotels you stayed at but you make it seem like someone who books via airbnb is making a choice between one or the other. I can asure you that for most people spending over a thousand dollars a night on a hotelroom is something they can only dream of. further more, you state that most hosts that rent out via airbnb use very strict cancellation policies. That is just not true, most host will allow you to cancel whitout cost upto 1 to 3 days before the arrival date. This policy is mentioned before you press the “confirm”button. So if you do not agree with the policy, you are free to decline. Whereas most high-end hotels will not accept a booking without a credit-card-pre-authorization. I understand that you want to state your love for luxury hotels, but I do object to the way you juxtapose it against a whole other segment of the market. It almost seems like you think that that “lower” segment is scamming you for your money. Which seems, to me, a bit unfair. I like staying at luxury hotels and would like to try luxury rentals for the experience. There’s no comparison between luxury hotels and air bnb – it’s like apples and oranges really – they offer services focused on different markets. The fact that this article was written indicates the threat hotels feel from AirBnB. Overall my preference would be AirBnB. That way I’d be much more likely to be renting with a local person. Obviously I check when renting as there are some crooks with hotel / apartment businesses using AirBnB when they shouldn’t be. Also where the business is run by a family the money I pay is much more likely to end up in the pockets of the people doing the work, whereas in Luxury Hotels many of the employees are on minimum wage even though rooms are expensive. I agree with most of the posts above in that a luxury hotel and an apartment with Airbnb are worlds apart. I’ve stayed at Martinez in Cannes on my and my husband’s combined birthday weekend and was not offered a cake, nor a bottle of champagne (yes they knew it was a birthday celebration booking). Nor for our honeymoon at Hotel La Villa, Calvi, Corsica. Nor for our birthday holiday in Shandrani, Mauritius, nor at Trou Biches, Mauritius… All of them luxury hotels. Yet at my studio apartment (listed on Airbnb) our honeymoon couples get a very special bottle of champagne, that cannot be purchased in any shop. All our guests get a bottle of quality local rosé wine, not something sour and unpalatable, like most free stuff. The bathroom is always stocked either with Caudalie, Marius Fabre or L’occitane, depending what tickles my fancy the day I prepare the room. And no, I don’t charge 1000USD per night, nor half that. I have had shockingly bad service at Hotel Dei Dogi, Camogli, Italy for a whole week from rude, moody staff, I watched in horror how they spoke to and treated other guests too. The comparison in this blog is not at all a fair one, there is no comparison, actually. The guest comments on Airbnb are what should help a person decide if the accommodation is suitable or not, not the experience of one person who is now biased after one bad experience. With all the bad that I have experienced in luxury hotels I have not given up on them, I still try, because yes, sometimes the experience is as good as the one I offer. This is nicely written article but only addresses this debate from a very short-sided view. I own & operate a small private boutique facility in St.Vincent rated as one of the top ten in the entire Caribbean in 2013 by Caribbean Journal. We specialize in personalized customer service & have hosted people who have literally been everywhere, such as the CEO of Rolls Royce. I have 30 years experience in customer service and have even written a book (http://tinyurl.com/mlzghyb) on it. I have worked for 5 star hotels & I can tell you that you have been fooled. Your “free” gifts at a luxury hotel are corporate agreements designed to make the hotel even more money. True “gifts” include things like homemade chocolate-chip cookies, not store bought, name brand products.The lowest paid at most hotels are the ones you rely on to clean the rooms, so honestly how clean do you really think they are? Real customer service means you can contact someone anytime and their response is always a warm genuine one. Concierges’ at a high-end hotel are low paid and rely on tips just like a bartender would. Many have hidden tricks like pre-fixing the settings on your thermostat.Letting you think you have control over something you don’t. Luxury hotels are good for one night or two night stays but for anything longer you truly loose. Rule number one, contact the place or owner directly. Talk to them. Ask them if they can help you in your planning. If you talk to someone that sounds like they work for someone else, move on. If you can’t reach anyone, move on. If the only response you get is a form letter or computer generated call, move on. You can have it all. Great comfortable accommodations and genuine personalized customer service all at about a third of the cost. You just have to be a little savory do a little research. Get more pay less. Airbnb is a great starting point. Find and visit the owners website directly and again, reach out. In the end you may end up with not only a fantastic place, but a new friend as well. Very interesting and insightful comments from everyone. AJR, love to read your perspective with your career experience! I much prefer Airbnb to even the most luxurious hotels because let´s face it. Hotels are lonely places. People who host through Airbnb are making the world a better place. Not everyone is married, or has children or even in a relationship so the friendliness and service that Airnbn offers is far and away more comforting than any hotel with all the luxurious details, surely built into their expensive prices could offer. I think the world is changing in such a way that people want the human touch and not someone at a desk or working in a hotel, making you feel like you are just part of a company that needs to meet your needs based on what they provide in the way of material things. I do not agree with this article as there are scores of legal well established vacation rentals that can be booked on Airbnb with the same ease as booking a hotel. Cancellation terms are also quite comparable and the cost savings of renting a vacation rental are substantial compared to booking a hotel room. You are saying “No fees if you cancel a refundable reservation”, what does that mean anyway?? In contrast you can also the same thing about anything you book online or elsewhere. No fees if you cancel any reservation that is refundable!!! How does that apply to Luxury Hotels and not to other rentals on Airbnb or elsewhere? You say, No Security deposit at hotel!! Really? Then why do they swipe your credit card on arrival and have you sign a 10 page legal document? My friends, you do pay a security deposit that is on a “hold” on your credit card. As owner of several vacation rentals that are rented directly on our website and via many channels we do not charge a damage deposit and do a hold in the same way. I totally agree with this article. Among the benefits that you as a traveler may favor, studies show that 62% of travelers choose vacation rentals for the value they offer. The average price per bedroom per day of a vacation rental usually is approximately $ 30 lower than the average price for a hotel room, giving you more money in your pocket for other travel expenses. While the average square footage of a hotel room is 325, vacation rentals average 1,850. What’s the source for all your figures, David? I ask because presumably the stats are focussed on a particular location or area. I’m also surprised that the price per bedroom per day is only $30 lower but without any background to where the figures you quote are from, it’s kind of meaningless. I just returned from a trip through Italy, and have made up my mind never to stay in an Airbnb again. It was not that much cheaper than hotels, and although you are paying for the room and a cleaning fee….they think they are doing YOU the favour of hosting you. Sorry, I am the one on holiday and I did not stay for free! I agree with this list, there are multiple benefits of staying in a luxury hotel, in particular the impeccable service and of course the luxury spa! Hi am Gerald from South Africa……… I think i agree with some but not all……. But thanks for the wonderfull work! Hello, have hosted over 100 guests on AIRBNB. I’ll offer a better personal experience than any luxury Hotel every time. Do guests at Luxury Hotels send hotel staff Christmas Cards? Case rested…….greetings from the Emerald Isle. I have heard stories of workers at amusement parks being trained so that a spilled napkin doesn’t spend more than 5 minutes on the ground. That is the kind of service that I see in this article. To have broken glasses repaired in the time that the gentleman was away from his room is really impressive! Yes, there is the difference in staying in a luxurious fancy hotel and staying in Airbnb apartments. It depends on the travelers’ mindset how they think and what is their priority. There are people who are skeptic about luxury even if you give them all the services with a low cost. However, budget hotels are always in demands and most of the travelers want to stay in these kinds of affordable rooms. Budget hotels provide the necessary luxury at a very low cost than the ultra-luxurious hotels. Travelers will save money from it and finance another trip for an extended period of enjoyment. Thanks for pointing out that you’ll likely get a better night’s sleep in a luxury hotel due to mattress quality and temperature of the room. My husband and I are planning a vacation for a few months from now. Although I’m interested in trying Airbnb, I don’t like the idea of gambling on factors that could directly affect quality of sleep. I think we’ll be going with a luxury hotel so I can have peace of mind about my sleeping comfort! I like that you state that with a hotel, there is always somebody you can call for assistance. My family is planning a trip up to Minnesota this summer, and we have been looking into which kind of lodging we are going to use. I will send this information over to them, so we can make sure we are looking at all our options.